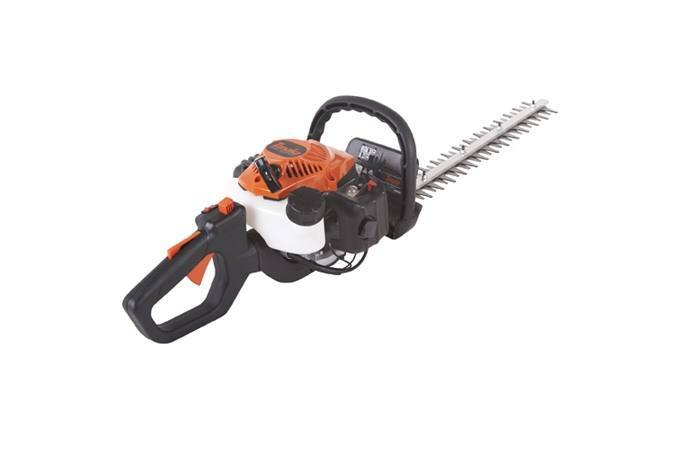 The TCH22EAP2 Hedge Trimmer with 20" blades is designed and built to increase productivity and minimize fatigue during operation. It boasts a powerful 21.1cc PureFire engine at a mere 9.4 lbs. This user friendly trimmer is one of the quietest on the market coming in at only 87.0dB, while featuring a forward-facing exhaust to keep fumes away from the operator. It is equipped with a diaphragm carburetor with a prime purge bulb for a quick and easy start as well as a large 10.1 oz fuel tank for extended use. The TCH22EAP2 is ideal for anyone who demands performance, reliability and durability all backed by an industry leading 7-year consumer use, 2-year commercial use and 1-year rental use warranty.